Now as many of you may or may not know, I've suffered with very oily, blemish prone skin for years and never quite found the thing to tackle it. 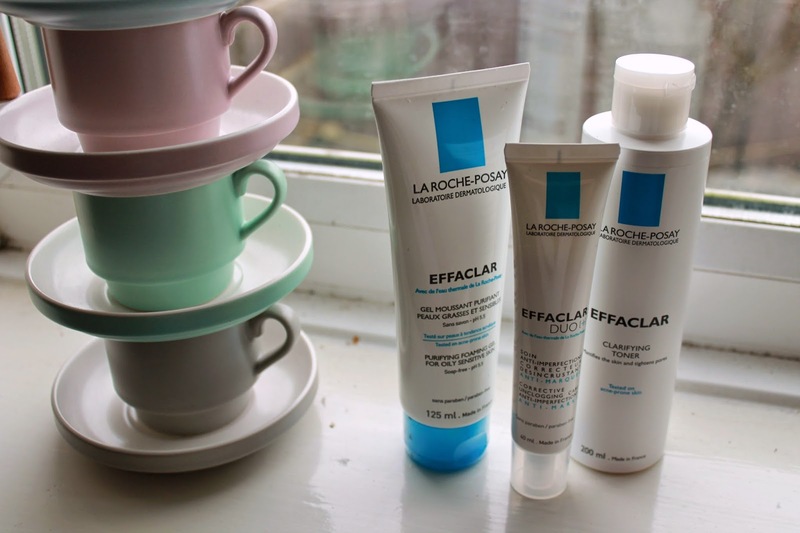 I took a quick wander into boots the other week and say that La Roche-Posay had 25% off so I thought Id' have a bit of a gander. The kit is a 3-step system tailored towards people with problem skin, so immediately I was drawn to it. With the promise of clearer skin I couldn't pass up the chance - and I'm so glad I didn't! 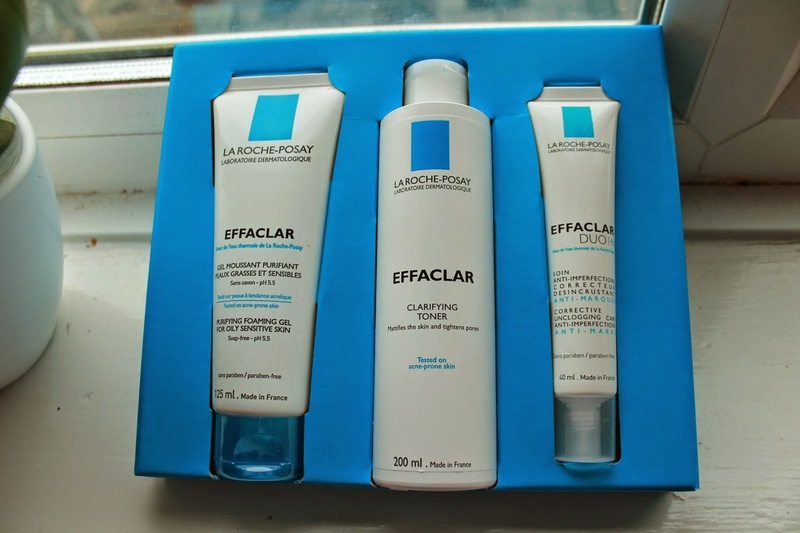 La Roche-Posay is definitely on the higher end of high street products, with this kit costing £32.50 at full price. In the set you get the prestigious Effaclar purifying cleanser and renowned Effalar Duo moisturiser. Additionally it comes with a Clarifying Toner which is a new product that isn't yet available to buy separately. All three products have the same scent, which personally I'm not the greatest fan of. One of the main reasons I bought it is that it saved me the faff of trying to find different products by all manner of companies, it's an entire skin care routine in one! To kick things into motion I begin with the cleanser. I love that you literally need a tiny amount of product to cover your entire face. It lathers really easily and feels great when you massage it in. You can really feel it it removing all the impurities without leaving your skin feeling tight or stripped. After rinsing the product off my face has never felt so fresh and, dare I say it, oil free. My complexion looked noticeably more radiant after just a few uses and significantly less oily. 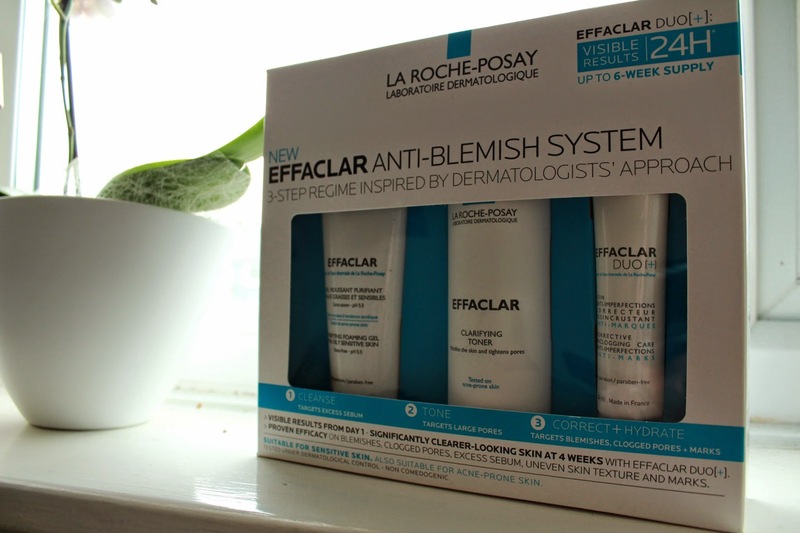 Finally I finish everything off with the Effaclar Duo Moisturiser. It's a Beauty Blogger cult favourite and I can totally see why! Never before have I found a moisturser that hydrates without giving my skin an awful greasiness. A little goes a long way with this stuff, so you barely need a pea sized amount! Again, this product feels lovely when applied and is a perfect ending to my routine. Overall I'm more than happy with my results so far and will definitely consider re-purchasing! My skin is definitely in the best condition it's been in in years and has really given me such a confidence boost. I'm always on the look out for new things to try though, so if you have any skin care miracle workers let me know!